Festival season is upon us, and you know what that means: warm weather, comfy colorful clothes, playful jewelry, and music that flows through your bones. There’s a way to attend a festival that doesn’t include hangovers and PPD (post-party depression). 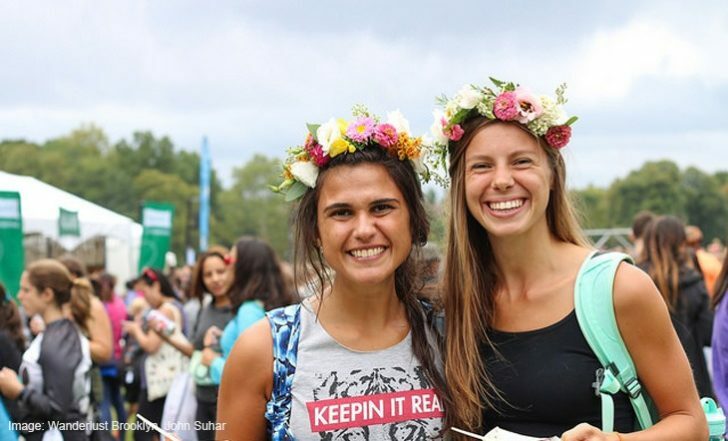 Attending these yoga-friendly festivals encourages healthy living, yoga practice, and meeting new people all while wearing your fun clothes and being a part of something powerful. 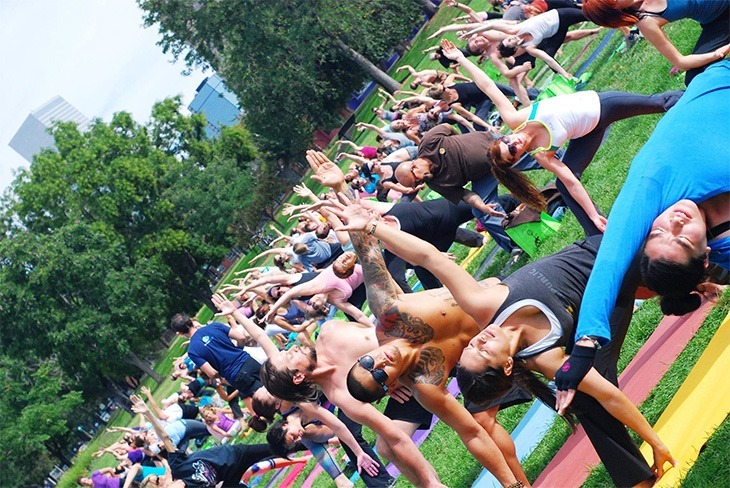 The Denver Yoga Festival has a mission to bring people together through yoga, mindfulness and meditation. This festival features numerous activities and experiences to keep you entertained, and it hosts some of the greatest yoga teachers around including Gina Caputo. Experience yoga workshops and panel discussions, meditation sessions, group asana, Kirtan, kids activities, and even a yoga fashion show! 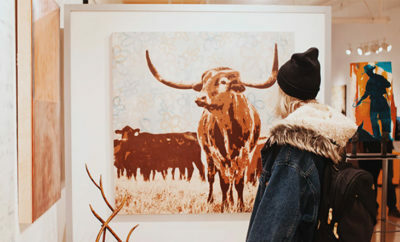 You’ll like it if: You want to experience positive yogi vibes amongst like-minded people in a beautiful, historic hotel setting in Colorado’s capital. Bringing you an all-level vinyasa flow class with a DJ spinning some awesome live beats, Friday Night Yoga Club knows the perfect way to kick-off your weekend. Start by doing a 75-minute yoga class, and finish with an after party filled with music, vendors, healthy food, drinks and fun yogis to party with. 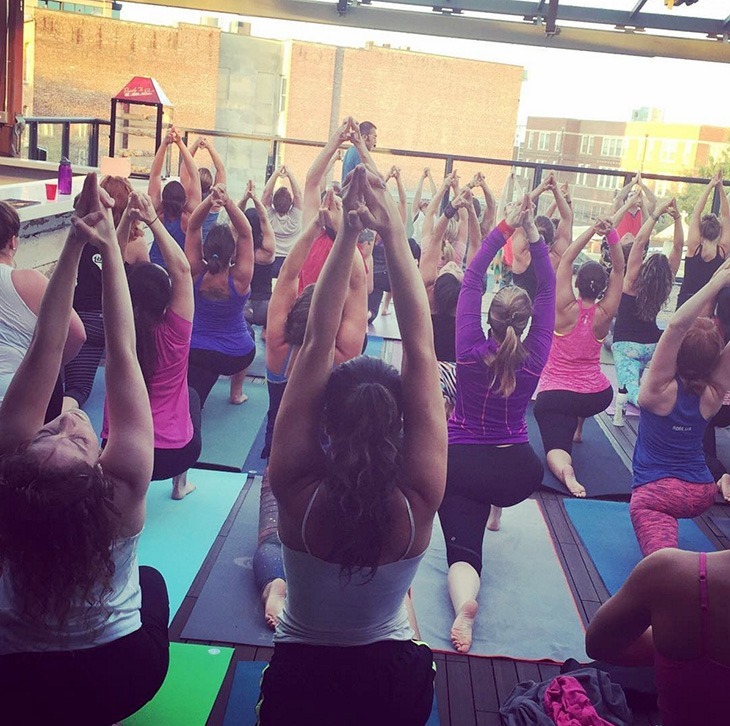 You can flow solo, with a group of friends, or bring a date to this Friday Night yoga party. You’ll like it if: You love music mixed with your yoga flow and enjoy staying after class to mingle and enjoy your Friday night in a mindful, healthy way. 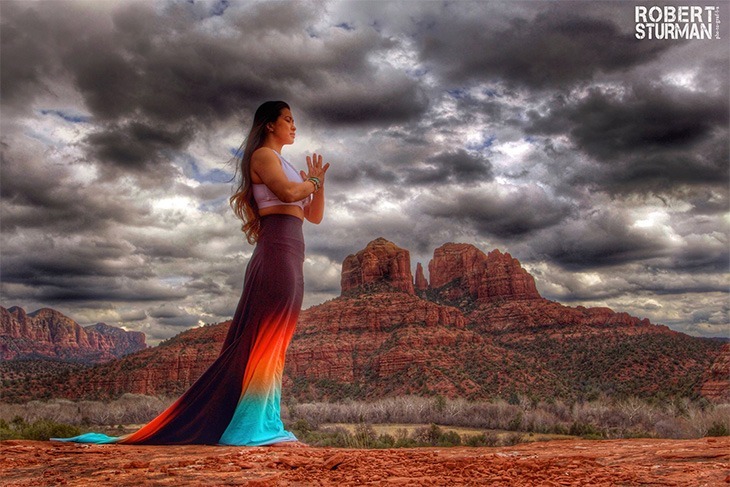 Sedona Yoga Festival hosts a conscious evolution conference, showing you the keys to improving your awareness and deepening your yoga practice. During the festival, you will “tap into ancient wisdom,” practice yoga, meditation, partake in outdoor activities and work on your energy surrounded by one of the most spiritually charged settings in the country. You’ll like it if: You are looking for a life-changing experience in a beautiful, spiritual, and inspiring setting. Euphoria Fest is the place to be if you have a love for music, with an amazing lineup including artists like Dillon Francis, Juicy J, Bassnectar, and Cherub. Bond with like-minded people who are advocates for bringing positive change to the world, and who are enlightened by the transformative effects of music and community. Join this group of people dedicated to bringing yogis together through music, yoga practice, laughter, and living in the moment. 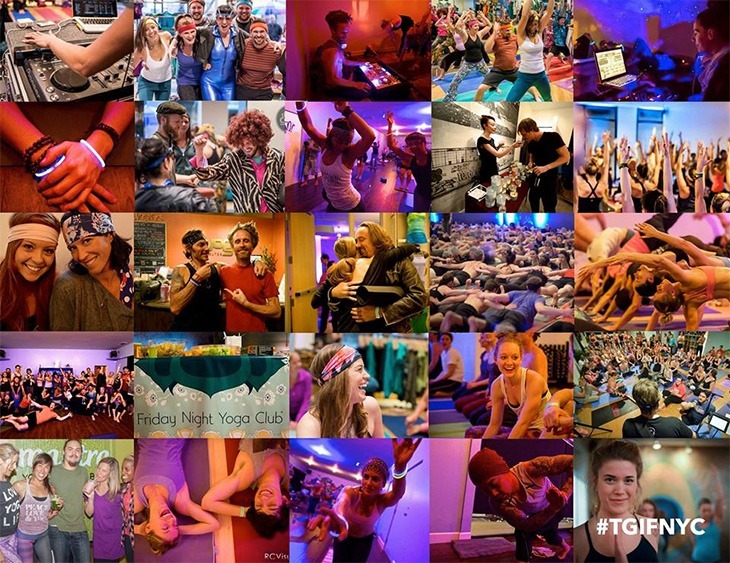 You’ll like it if: You love to practice yoga and connect with people through the backdrop of music and positive energy. 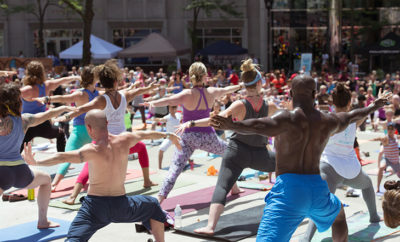 Taking place at the Downtown Hyatt Regency, the Minneapolis Yoga Conference offers over thirty hours of yoga classes and workshops to choose from. You can experience workshops on everything from the business of yoga to chakra purification, meditation, and more. Enjoy live music and dancing, and socialize with your yogi community during lunch and dinner. Be sure to stick around Friday night for the opening ceremony that includes DJ lounge music, a “healthy elixir bar,” henna tattooing, and more. You’ll like it if: You want to explore other aspects of yoga beyond the physical practice, you enjoy socializing with fellow yogis, and you’re looking for a fun time centered around yoga. 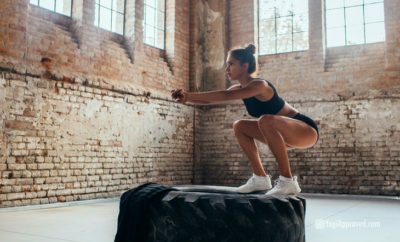 All about finding balance, KLEEN City founder Kaz Qamruddin believes you can still have fun, party, and enjoy music without sacrificing your health. Be prepared to participate in a health and wellness revolution! 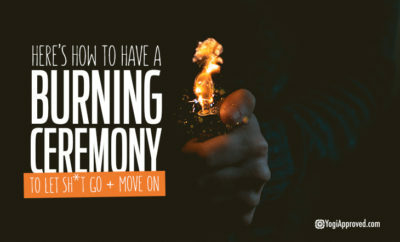 You will be practicing yoga with the sunrise and mingling with others who have a deep love for music and wellness, all before you begin your workday! You’ll enjoy listening to live DJ dance music at a premier music venue while elevating your workout routine through conscious movement. You’ll like it if: You want to start your day off with music, yoga, a strong sense of community, and a dance party! 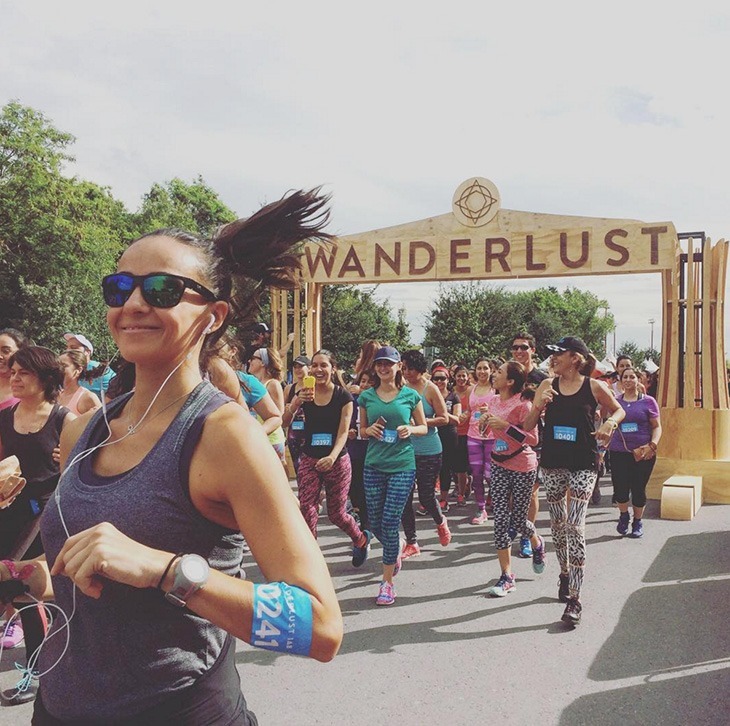 Wanderlust 108 is taking place in major cities from coast to coast throughout 2016. This one-day mindful triathlon combines three events (running, yoga, and meditation) into one fun and invigorating event. 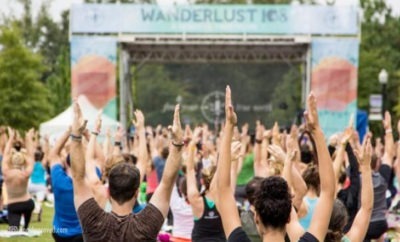 Find a Wanderlust 108 festival in a city near you and get in on all the fitness fun! 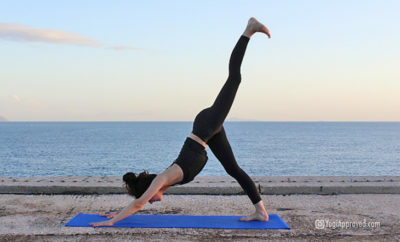 You’ll like it if: You are an athletic yogi who wants to run, then practice yoga, and end with meditation for a mindful day of fun with friends. Adventure awaits at Wanderlust, snuggled in the mountains of Aspen, CO. Be prepared to meet and mingle with some incredible people and be surrounded by yoga and meditation instructors, musicians, inspirational speakers, and people looking for a transformational experience. Be prepared to dance your heart out, explore your yoga practice, and try something new like aerial yoga or paddle boarding. You’ll like it if: You love feeling inspired, meeting like-minded people, and going through transformational experiences that will undoubtedly boost your consciousness. 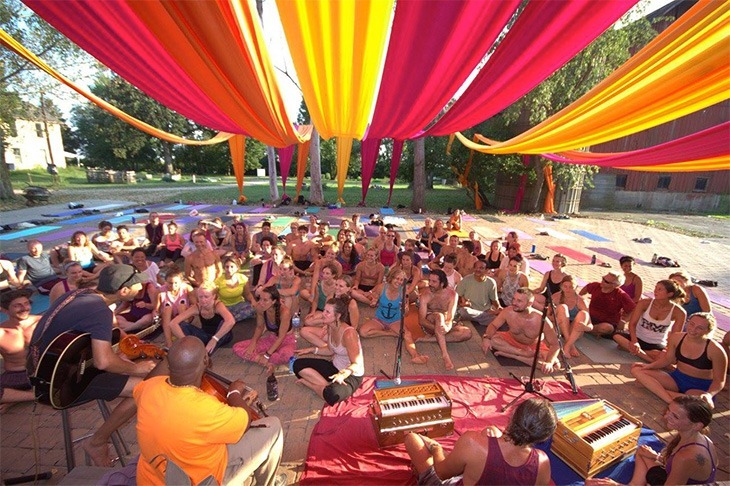 Based at the foot of Colorado’s Rocky Mountains, Hanuman Festival is a community-oriented music and yoga festival with a mission to create a safe and sacred society. You will deepen your practice with world class yoga teachers offering numerous yoga classes and workshops including vinyasa, kundalini, hatha, ashtanga and therapeutic yoga. Music will be playing all day and into the night from amazing singers, songwriters, and kirtan bhaktis. You’ll leave feeling inspired and refreshed after this soulful journey. You’ll like it if: You love supporting great causes both locally and globally, in addition to having a great time celebrating yoga and higher consciousness. A premier electronic music festival held during the summer solstice, you will enjoy live music, mingling, and shaking your tail feathers to some of the best musical vibes around at Sonic Bloom Festival. 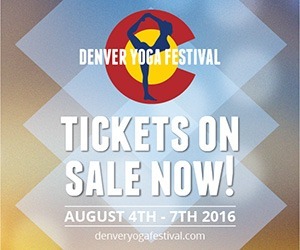 While you are there, the yoga and movement lineup is equally worth checking out! Bring your own water bottle for free h20 and don’t forget your yoga bestie to share this experience with. You’ll like it if: Electronic music is always on your playlist and you love discovering new artists while shaking your asana on and off the mat. 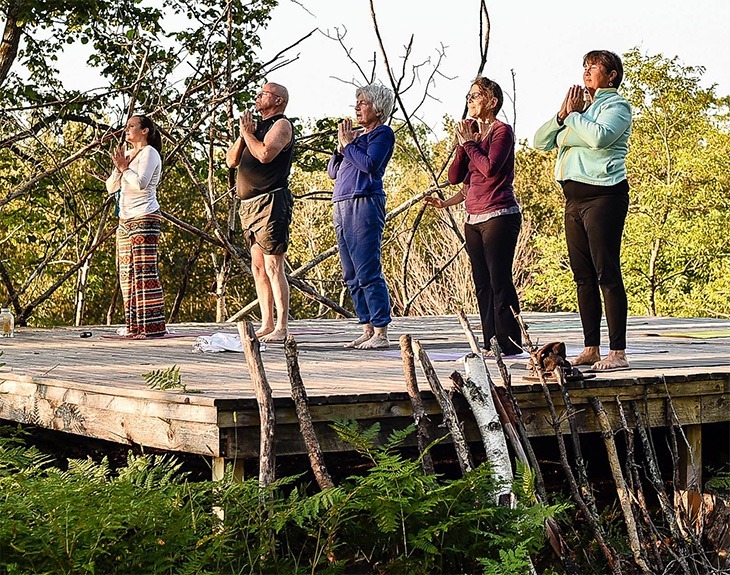 Take your yoga practice into the forest with YogaFest happening in the heart of the Pigeon River State Forest in Michigan. 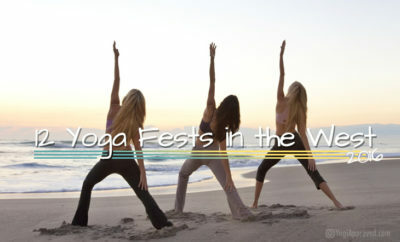 YogaFest is a spiritual gathering over the span of four days. 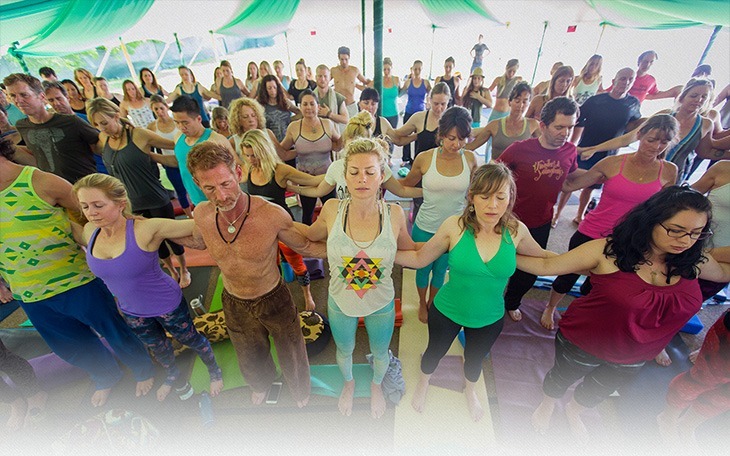 You will practice yoga in the beautiful Song of the Morning Ranch, and also experience kirtan, meditation, sustainability workshops and healing sessions. This yoga festival is proudly run entirely on the basis of seva, or selfless service. You will like it if: You’re an outdoorsy type who appreciates nature, spirituality, and celebrating the sacred. 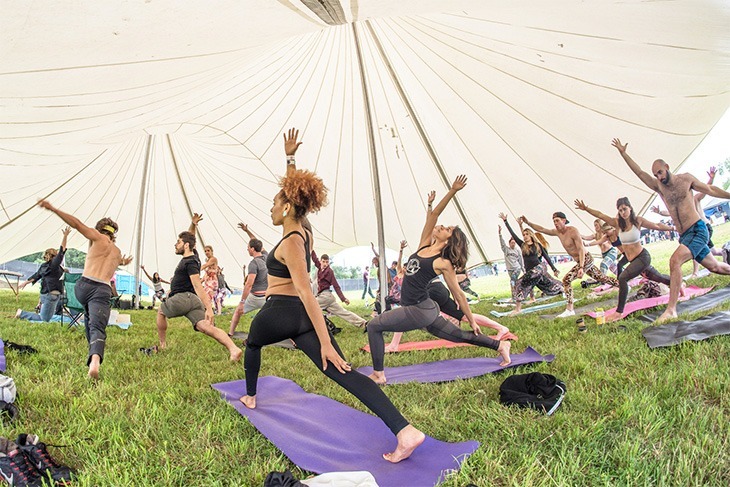 A yoga festival that brings people from all walks of life together, Arise Festival is a musically diverse, festival wonderland. They plant one tree for every ticket sold and host amazing yoga workshops for the entire family. The festival features five stages and a party that spreads across 100 acres of mountainous terrain. Come ready to camp with yogis and get in-tune with your energy. You’ll like it if: You love learning more about yoga, big festival vibes, listening to great music, and meeting other spiritual beings. In Sanskrit, “Sukhava” means happiness or bliss, and you may find just that during your time at the Sukhava Bodhe Yoga & Music Festival at the Stonehouse Farm Eco-Retreat and Sanctuary. An impressively diverse lineup of yoga teachers, musicians, and activists awaits you, in addition to farm to table meals, youth offerings, a healing tent, paddleboard yoga, and more. You can tent camp or even rent a yurt for your stay. You’ll like it if: You’re a yogi looking for a multifaceted yoga experience, and welcome the opportunity to explore new experiences, activities, and ways of thinking. When thinking of fun activities to do this summer, try something new and head to the Midwest. Partaking in one (or more) of these festivals will fulfill your music needs, enrich your yoga practice, and renew your soul. Jessica Lynn Gomes is a twenty‐something creative writer and health enthusiast living in Laguna Beach, California. 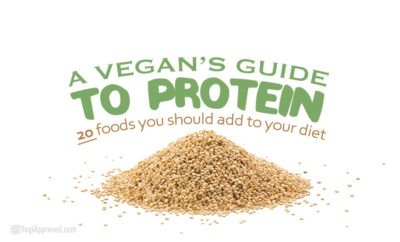 As an athlete, she develops her own workout routines and practices a clean eating lifestyle. 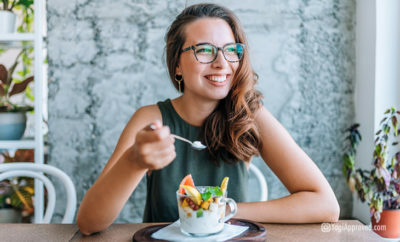 She is constantly experimenting in the kitchen, creating new ways to cook for her gluten‐free lifestyle, without sacrificing taste and nutrition. To get to know more about Jessica, head over to her personal blog, The Naked Bohemian. 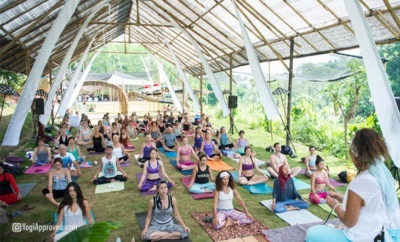 Whether these yoga festivals are in your own backyard or a bit of a drive away, these 5 yoga festivals are worth the trip and offer a little something for everyone.